Sculptra in Worcester. 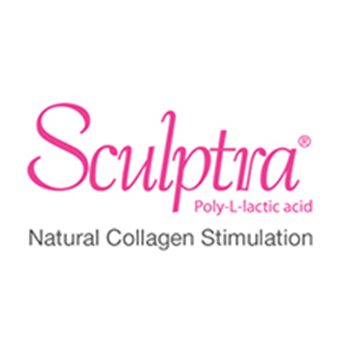 Sculptra stimulates the growth of new collagen. Sculptra® is an Injectable Liquid Used to Add Volume to Areas of the Face to Create a Soft, Natural, More Youthful Recontouring of the Face. Sculptra® is synthetic and not derived from animal or human sources. The main ingredient of Sculptra® is poly-L-lactic acid (PLA), a substance that has been used for more than 30 years for medical applications. PLA is made from lactic acid, a natural substance that is necessary for cellular metabolism. Lactic acid is already present in the human body. The results of Sculptra® are not immediate although immediately after treatment the face will appear to be fuller. This is because of the water content in the injections which will absorb in a few days. Sculptra® gives you noticeable results that emerge subtly. It stimulates the growth of new collagen and at least three treatment sessions, six weeks apart, are necessary to achieve best results. Because the production of new collagen is a gradual process each treatment will yield results that are more noticeable than the previous one. It takes up to 90 days to see the full result. Some people find Sculptra® treatment painful while others feel no pain or discomfort whatsoever. However, the Sculptra® is mixed with lidocaine, which is a local anesthetic. I will also apply a topical numbing cream about 45 minutes before the treatment. You will come for a free consultation to discuss the best course of treatment for you. Once this is decided, the area to be treated is disinfected and local anesthetic cream applied. After 15 minutes the treatment can commence. Immediately after treatment, the treated areas are massaged for a few minutes to distribute the Sculptra® evenly. This massage helps to prevent the formation of bumps or nodules under the skin. It is important that the patient continues this massage for 5 minutes twice daily for 4 weeks. Although the effects of Sculptra® take some time to manifest themselves, they can last for up to two years. A top up at 2 years will extend the longevity of the treatment.